We take a look at some of the top attractions in the historic city of Oxford. Oxford is one of the most famous university cities, attracting visitors from all over the world, and it’s easy to see why people return here again and again. Steeped in history, Oxford has something to offer everyone, from famous museums, to beautiful countryside and excellent food. Our short guide to Oxford will help you to get the most out of your trip to this fascinating city. 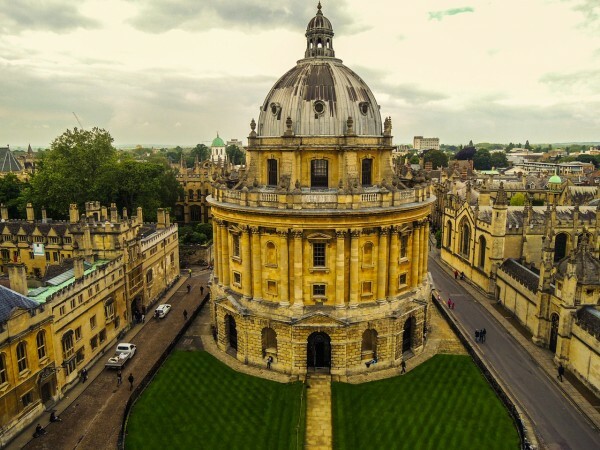 Whether you want to learn about local history, experience some culture, or just relax and take in the scenery, there is plenty to keep you occupied on a trip to Oxford. Taking a tour of the city with a knowledgeable local guide can really help you to get the most out of your visit. There are plenty of Oxford tours to choose from, including an open-top bus tour, walking tours, riverboat tours and even cycling tours. For a spooky twist, join the city’s excellent Ghost Tour and discover Oxford’s darkest secrets. Oxford is perhaps best known for its prestigious University, which is the oldest University in the English speaking world. Experience this institution’s rich history for yourself with a visit to one of its 38 colleges, most of which open to the public for a few hours a day. Hire a traditional punt and enjoy a lazy afternoon meandering up the River Cherwell, taking in the picturesque views. If this sounds too much like hard work you can always opt to hire a chauffeured boat, or join one of the sightseeing river cruises. When it comes to cultural activities, visitors to Oxford really are spoilt for choice. The city is home to some fantastic museums and galleries, from the varied treasures of the Ashmolean Museum, through to the immersive exhibitions of The Story Museum, and the Weston Library which houses ancient manuscripts from the famous Bodleian Library. Oxford is the perfect destination for foodies, offering an array of excellent restaurants, as well as being home to some fantastic seasonal produce and local delicacies. When it comes to eating out, visitors will have no trouble finding somewhere to satisfy their palate. If you want to try a variety of food styles, or are trying to please a large group of people, head to Cosmo in Oxford. This relatively new addition to the Oxford dining scene, which already has some good reviews, serves up over 150 authentic dishes from around the world, so there really is something to please everyone. For al-fresco dining with beautiful views, visit The Folly restaurant. Situated on the banks of the River Thames in the heart of the city, summer-time diners can enjoy modern, seasonal food on the restaurant’s floating terrace. If you’re looking for quality ‘pub-grub’, the Magdalen Arms hits the spot. This East Oxford gastropub has a daily changing menu and was awarded the Bib Gourmand in the Michelin Guide 2011 for serving “good food at reasonable prices”. For authentic Japanese cuisine, there is no place better than the small but perfectly formed Edamame – as the queues out of the door demonstrate. You may have to wait for a table in this friendly, bustling restaurant, but it will definitely be worth it. Oxford has some great places to stay, and caters for a range of different tastes and budgets. City centre options include modern hotels and friendly B&Bs, or try venturing into the surrounding countryside to enjoy cosy inns, luxury country mansions, or boutique self-catering cottages. To really experience the Oxford atmosphere, you could even stay in one of the University’s historic colleges. With its unique blend of the ancient and the modern, the rural and the cosmopolitan, Oxford really is a fascinating place to visit. And with so much to see and do, it’s the perfect destination for your next city break. Gary Martin is the communications manager for Go 2 London, the UK’s newest dedciate guide to London and its surrounding towns.